During the early morning hours of August 27 1978 some wonderful and historic super 8 film footage was captured by Abakash. 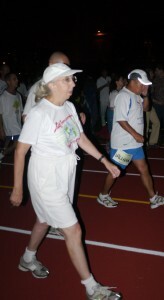 The very first 47 mile race had begun in the pitch darkness starting at midnight hours earlier. 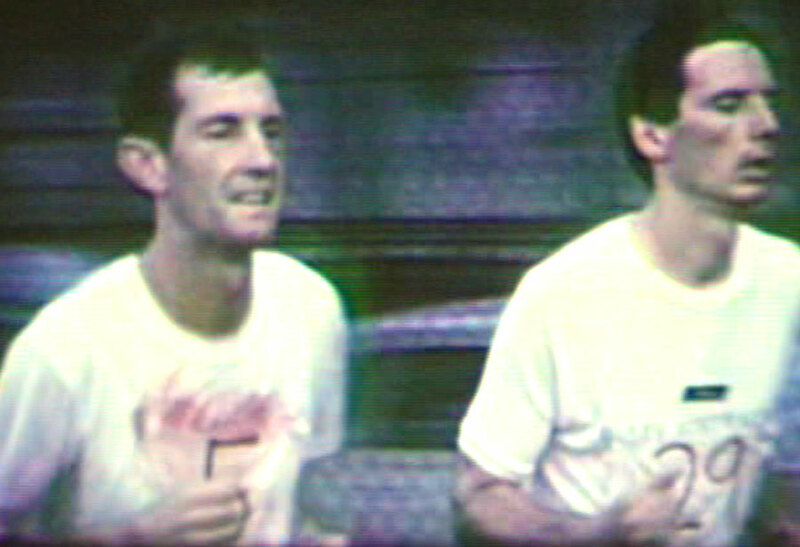 At that time 38 nervous young runners stood motionless at the starting line, having no real idea of what was before them or even certain whether or not they could complete the distance. 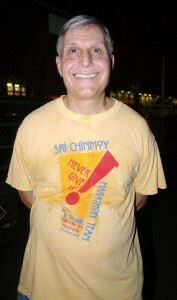 Yet much stronger than all our fears and doubts combined was our love and admiration for our spiritual teacher, Sri Chinmoy who had created this unique race, 47 miles long. 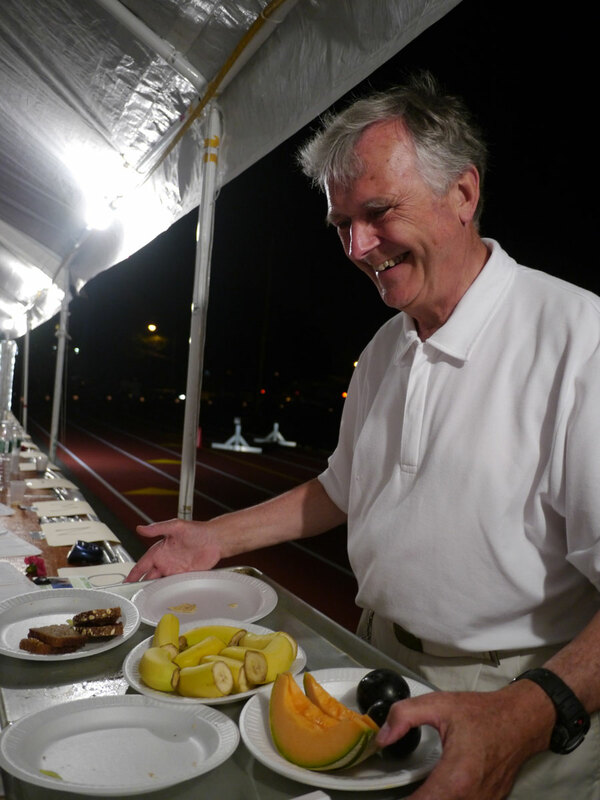 He had invited us all to run and as he now solemnly stood before us as we anxiously waited for him to personally start the race at 12am. This all happened more than 30 years ago. Time has removed the sharpness and clarity of many moments of my life but the start of the first 47 I am certain is etched so deeply into my heart and life, its sweet memory has yet to fade or dim. 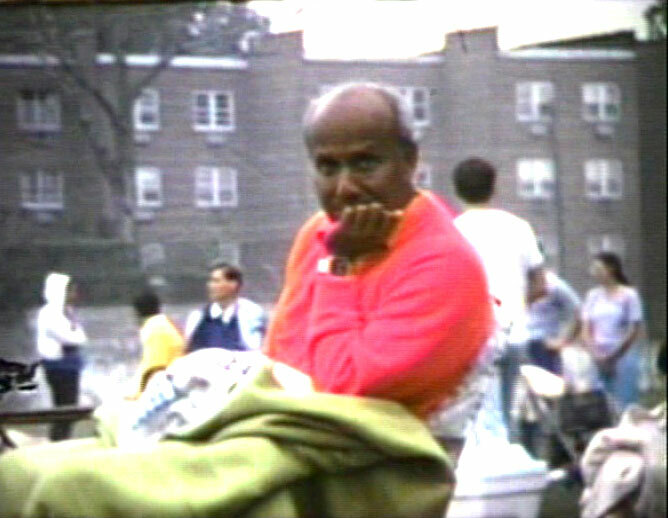 I can still clearly remember as Sri Chinmoy stood in powerful silent meditation in the darkness. An almost indefinable outline, illuminated barely by far off streetlights, and a couple of dim flashlights. Yet where our eyesight’s failed, another part within us was acutely aware of his presence and his gratitude that we should participate in this great new undertaking. On this night and at the moment as the clock ticked past 12 it became his 47th birthday and the race began. 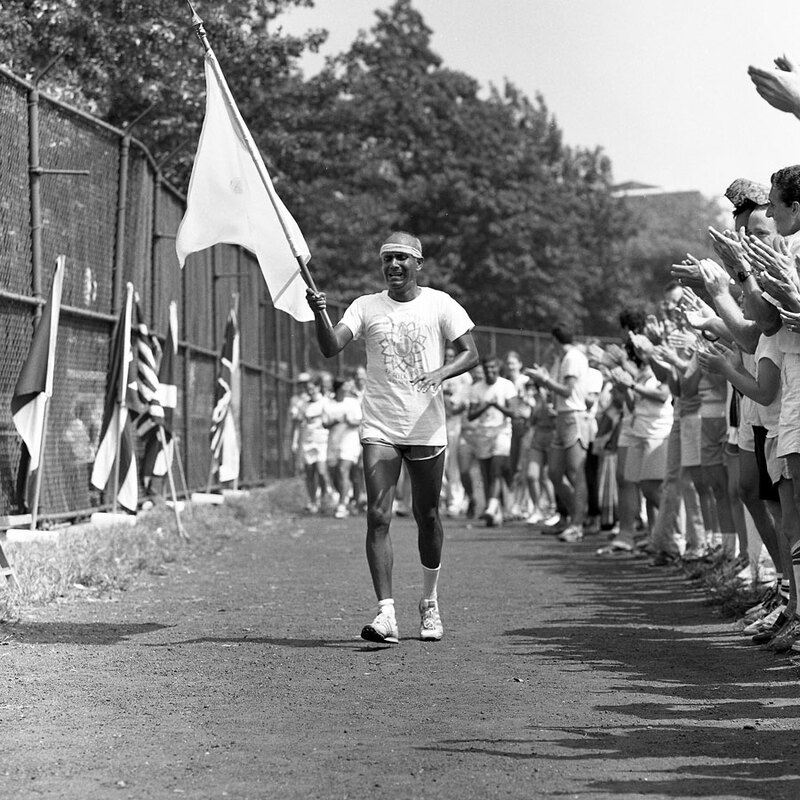 What we did not know then was that this race was his gift to us and to future generations of runners. An unprecedented 47 mile long spiritual journey whose goal was infinitely longer than 40 laps of Jamaica High School. Yet for each and all who participated it would also be in turn a powerful opportunity to bring to the fore some small measure of our own self offering. 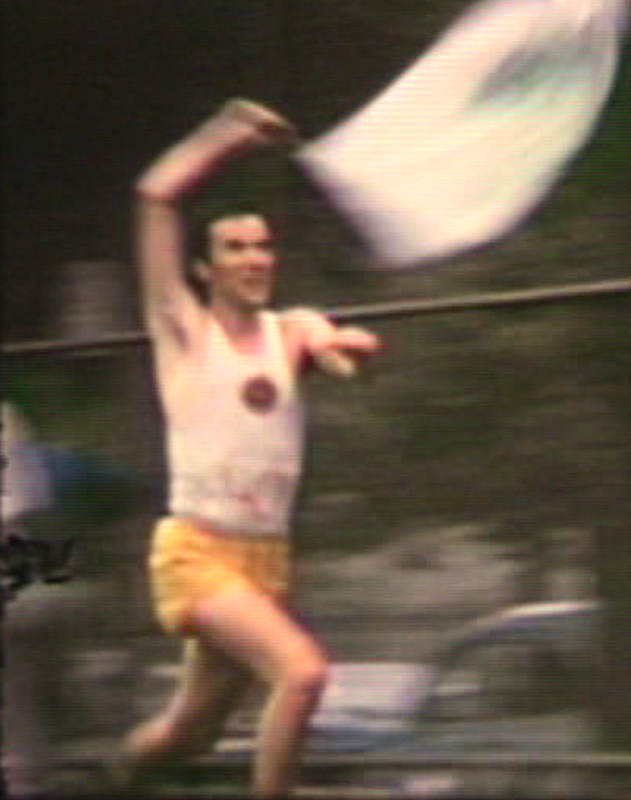 The very act of running a perfect gift to him who inspired us in the first place. It was and remains to be both an unprecedented sporting event and a unique spiritual exercise, that many continue to take advantage of, and seems destined to remain as a timeless tradition. 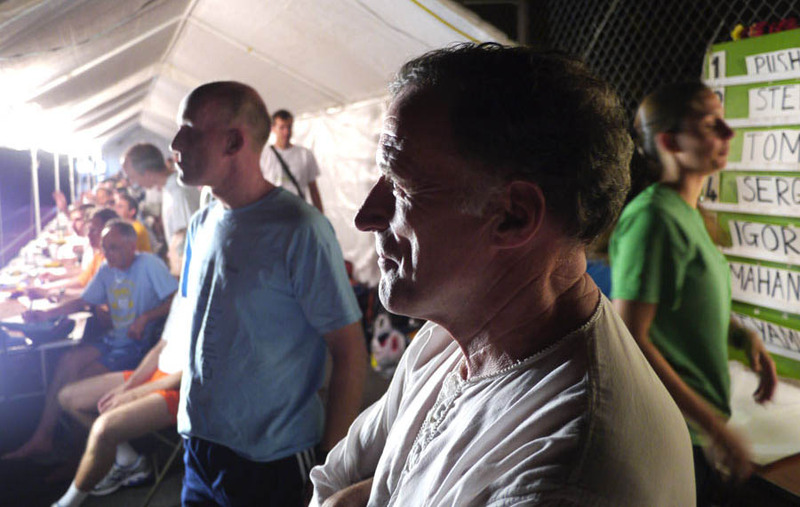 In the weeks leading up to that midnight start he had made clear that the 47 mile race was going to be something new and challenging like nothing before. We simply had but to let go of our doubts and fears and surrender fully to the experience. 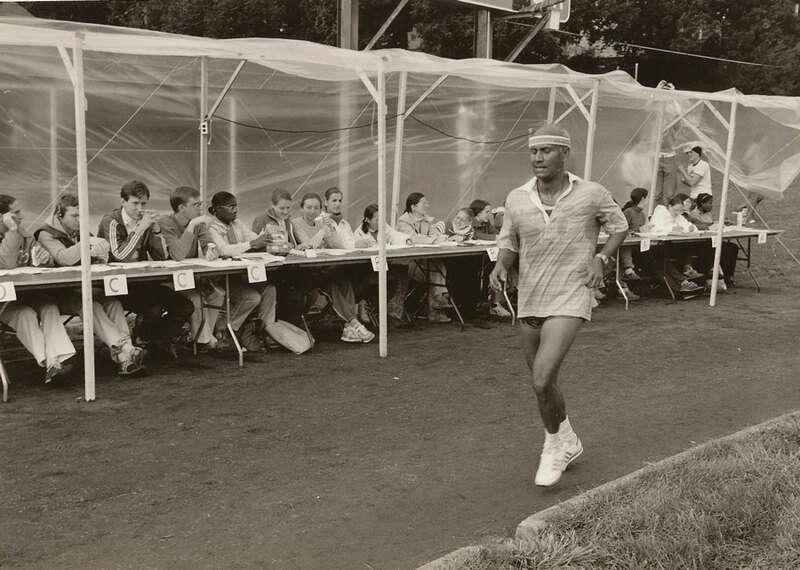 A short while later he coined a unique expression that clearly and beautifully defined what this sport of running could offer both outwardly and inwardly, “Run and Become, Become and Run.” Spiritual progress and athletics and fitness can and must go together. 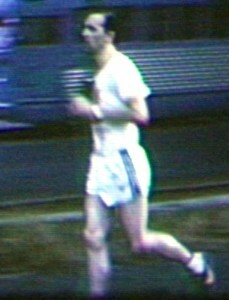 I have watched Abakash’s 47 mile footage many times. The faces of all those who ran that first race are deeply familiar to me, as we shared the dusty track and windy Queens streets all together for many hours. For a brief and glorious moment, time is graciously and delicately wound backwards. When the person, who bears a great deal of resemblance with one who once used to look back at me from my own mirror, crosses paths with Abakash’s camera, I have doubts that I was ever really quite that young. For all the limitations of shooting film at 24 frames per second it still nonetheless can transport all of us who were there that night back to the very beginning of a brand new exciting chapter in our lives and in the life of the Sri Chinmoy center. Hopefully it also can demonstrate for future generations just how much absolute oneness Sri Chinmoy had with all those who were pioneering his new creation. When you see him attentively standing on the sidelines you cannot help but notice in his gaze, that he is all affection and concern for those running around the course. With each runner and in fact with all who contributed in any way, he shared a deep and personal inner identification with. We were all part and parcel of his very own spiritual family. By the time dawn cast its warm brightness to the day and the camera could begin to roll, all the doubts of any of us might have held were long discarded, replaced instead by certainty and celebration. 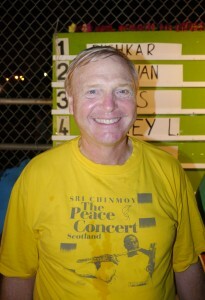 What time would soon reveal was that 47 mile race was opening a brand new door to Sri Chinmoy’s manifestation. That from the first step we 38 took on what appeared to be an impossibly long journey was just the beginning of something infinitely longer and even more transformative. Sports and fitness were to become central and integral aspects of our spiritual life. The 47 mile race simply and eloquently demonstrated this philosophy. Looking back it is hard not to realize how revolutionary it actually was. 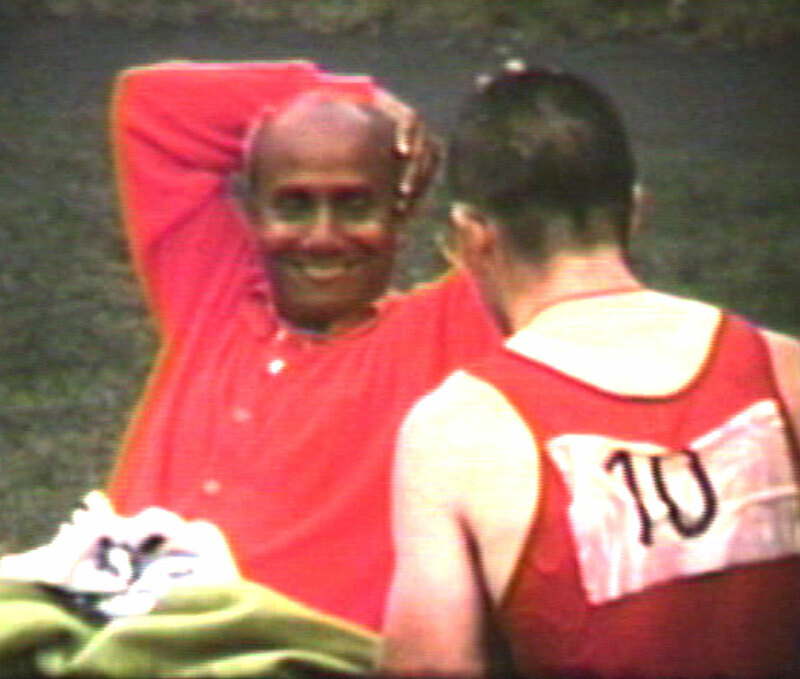 It was only in June that Sri Chinmoy had first announced his personal commitment to distance running. During that first 47 mile race he would run 23 miles himself and come back the following 2 years and run the entire distance. Some years later, because of injury his own distance running would not continue. 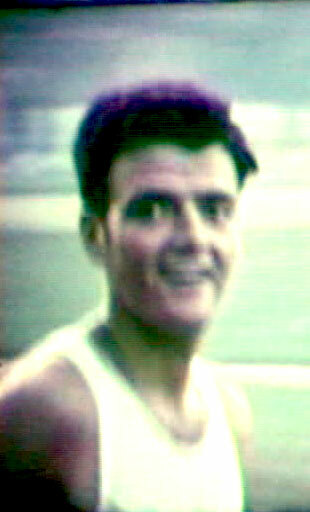 His love and commitment to distance running though would remain a part of his life until his passing in 2007. 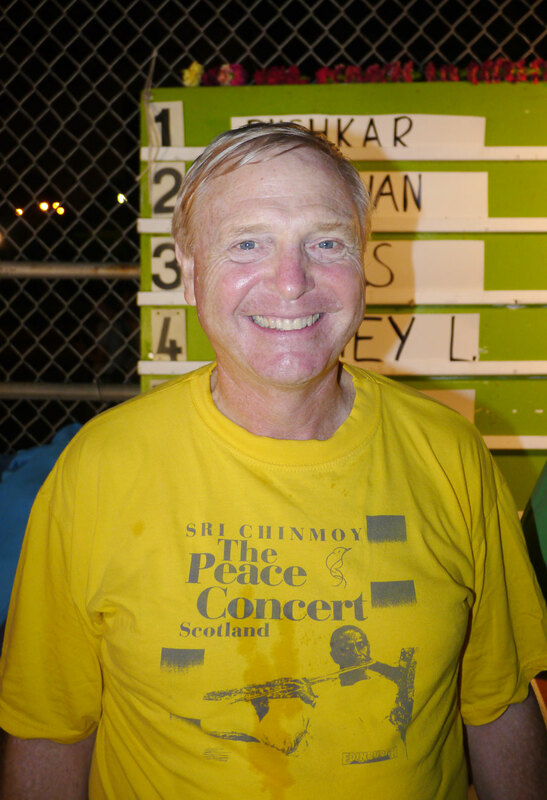 For this years race, which would have been Sri Chinmoy’s 80th birthday all who had ever run the event in past years were invited to run or walk a ceremonial first lap. Shortly after he has returned from his lap I chat with Sundar, who was one of the pioneers of the event. The air is alive with energy and excitement. 122 runners have entered and from time to time clusters of runners spill onto the track and come up in enthusiastic waves in front of the attentive counters. On this night he says that by walking around the course that it helped him remember all the other times he had run the race. “It was very thrilling very exciting. 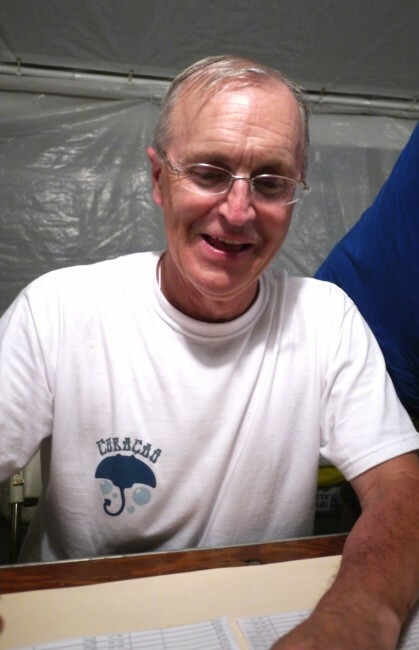 It was a lot harder than I thought.” (Laughter) Vidura is hard pressed to talk about his experiences that first night because he is so busy trying to keep track of his runners. He ran the first race and in his own way kept very involved with the 47 helping in different ways the help it all happen. It needs runners but also needs many hands behind the scenes as well. “I don’t think there was a lot of pain. It was probably difficult as it always is with long runs. (laughter) I am only speculating because I can’t remember exactly. There is a feeling of elation too, because you know you are doing something very special.” Coming back for his lap tonight he says, “was such a nice opportunity to reconnect with it. Because I hadn’t in so many years. 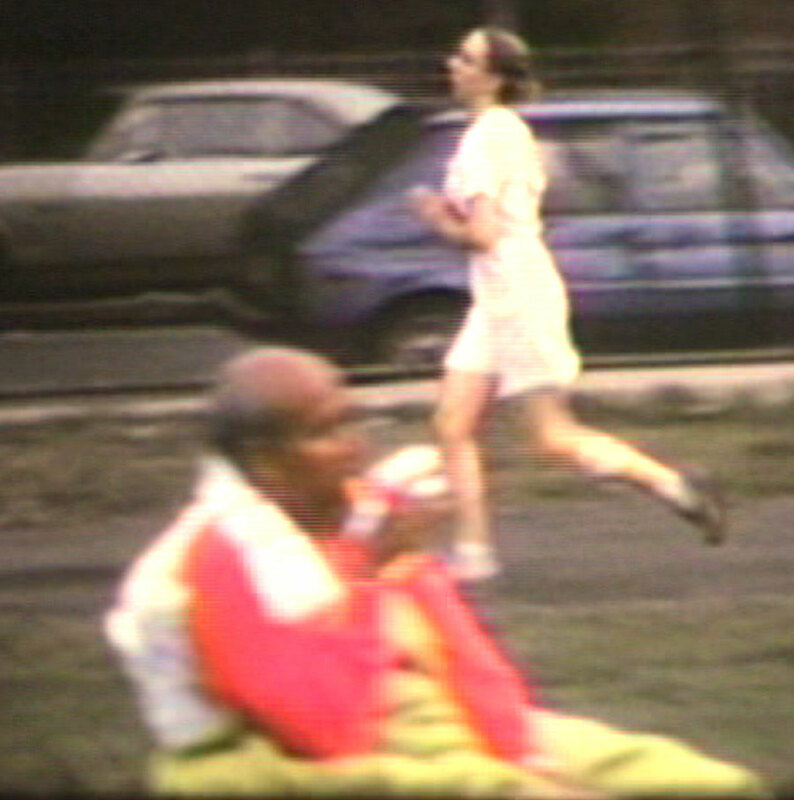 “For almost 20 years every new years I have made the resolution to run 2 marathons in the year and I broke it.” Kusumita is a very visible figure in the first 47 mile film. As a chance would have it she comes into view on several occasions. Not content to slip into retirement she has taken her vow of running very seriously and did in fact run all of this year’s marathon in 6:47. It was also a big thrill to come back, along with many other veterans and do a lap of the 47 as well. “But after Guru left his physical body, it seemed to me that there comes a time to keep our resolutions.” Remarkably it was in 2008 that she came back and ran the August marathon then after not having run one in 19 years. She recalls having once heard Sri Chinmoy say, that if one has taken a vow one should try and fulfill this pledge, no matter how much time has elapsed. “Here we have some excellent lads.” Now of course he has been part of the crew for many years. His role includes delivering sandwiches, back rubs, and the occasional checking of figures. 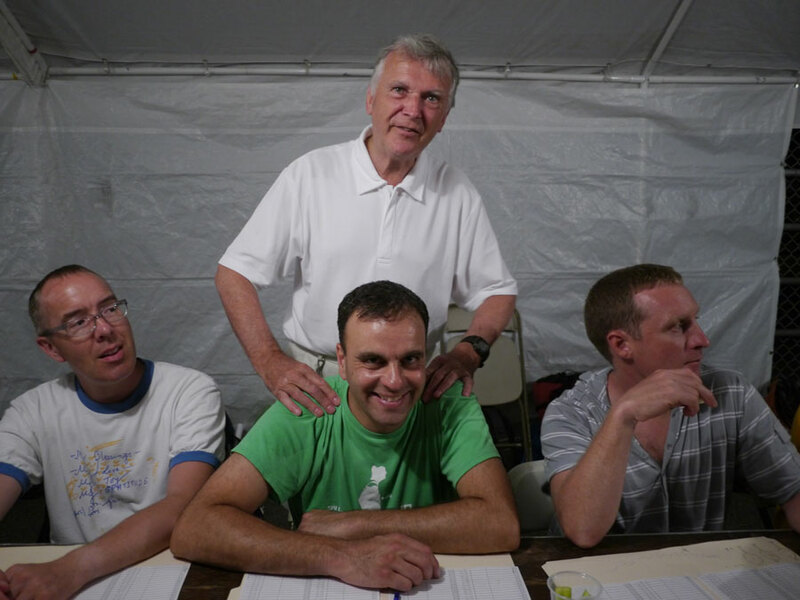 It is not an easy job but part of the joy of being here is that he it is just one member a large team with everyone contributing, in their own way to the celebration of Sri Chinmoy’s birthday. 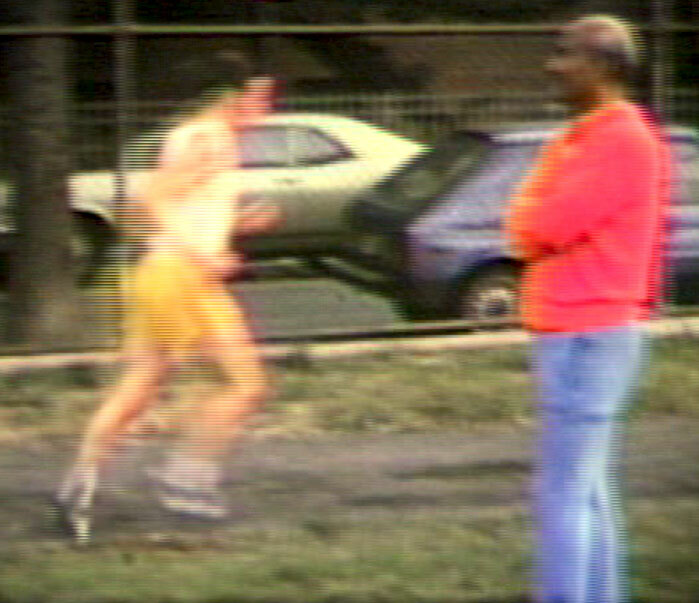 I mention that throughout Abakash’s footage of the race he is seen running side by side with Kishore. 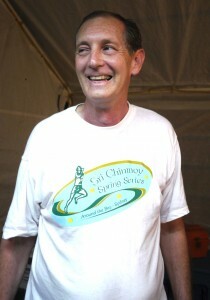 “That year was fantastic, because Kishore and I ran together the whole way. Certainly we had quite a few people putting pressure on us near the end. I think we came 4th. Then of course next year (laughter), I never saw Kishore again. Run and become. We run, we become. We run in the outer world, we become in the inner world. We run to succeed, we become to proceed. Inspiration helps us run, far, farther, farthest. It helps us run the length and breadth of the world. Aspiration helps us become fast, faster, fastest the chosen instrument of our Beloved Supreme. Inspiration tells us to look around and thus feel and see boundless light, energy and power. Aspiration tells us to dive deep within and enjoy boundless delight, inner nectar and bliss. Inspiration tells us to claim and proclaim our own divinity, which is our birthright. Aspiration tells us to feel and realise once and for all that we are exact prototypes of our Beloved Supreme. We can be as great, as good, as divine and as perfect as He is. Inspiration tells us to become our true selves. Aspiration tells us to become God Himself. Inspiration tells us to feel what we soulfully have: God’s Love, God’s Compassion, God’s Beauty and God’s Peace in infinite measure. Aspiration tells us to feel at every moment that we are of the Source and for the Source. We are of our Beloved Supreme the One, and we are for our Beloved Supreme the many. Him to fulfil, Him to manifest, Him to satisfy unconditionally in His own way is of paramount importance. We run. We become. At every moment we are running to become something great, sublime, divine and supreme. At the same time, while we are becoming, we feel that we are in the process of reaching our ultimate Goal. But today’s goal is only the starting point for tomorrow’s new dawn. At every moment we are transcending our achievements; we are transcending what we have and what we are. By virtue of our self-giving we are becoming the Beauty, the Light and the Delight of our Beloved Supreme. 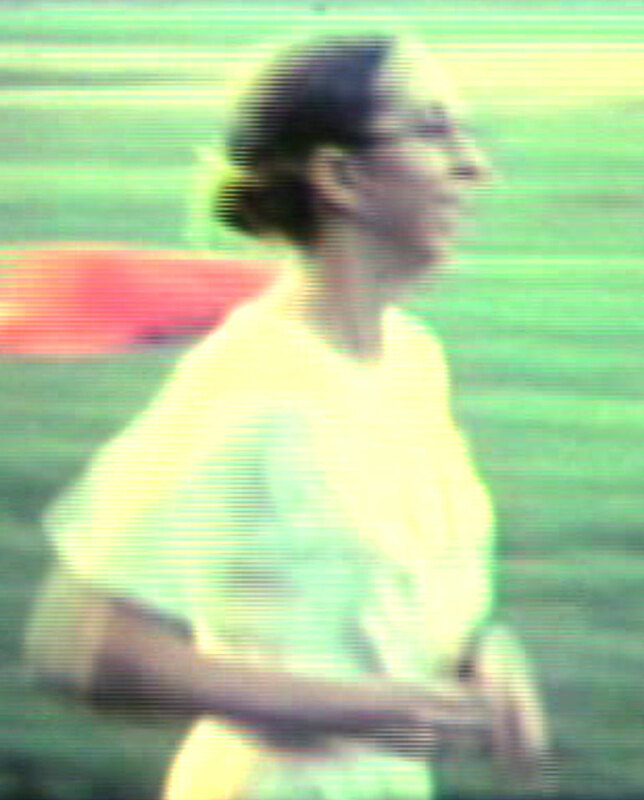 8pm, October 5th, 1978 Stanford University. Sri Chinmoy, The Vision-Sky Of California, Agni Press, 1980. Thanks for the inspiring stories and memories of the early days of the 47- Mile Race. It was great reading and relating our stories and a testament to our Guru’s Sri Chinmoy’s enduring inspiration! The fact that so many of us ‘old- timers’ are still keeping this precious tradition alive by not only organizing but also running it, shows how the spiritual message of self -transcendence is alive and well and continuously flowing through us. I wasn’t aware of the original footage of the first race, so it was fun seeing the pictures of the younger versions( I think one was a young Vidura) of our spiritual family!